Emotions ran high after the announcement, on December 22nd, that the Environmental Impact Assessment was approved for the Miramar Resort on Shanyuan beach. Since the first EIA was controversially approved for the already half completed development in 2007, it has been declared illegitimate twice by the courts on the grounds that the Taitung government sought to exert influence on the process by appointing several members to the committee who were Taitung officials in support of the Miramar project. The credibility of the panel appointment process has been tainted because of this and as such it came as no big surprise that the newly convened panel gave the green light once again. For the members of the local community and different organized groups who have been protesting the construction it was a dark day of heartbreak and frustration. Following the last Fudafudak protest concert in July of 2012, the movement continued to gain momentum, especially in September when the Supreme Administrative Court ruled that the resort’s EIA was invalid and that construction of the hotel must be stopped. Knowing that the battle was far from over, protest were staged outside government offices and in Taipei at the Miramar Entertainment Park in November to help raise awareness on the issue, and in the same month a petition of nearly 700 signatures was gathered from professors and academics across Taiwan. The petition called on the central government to adhere to Taiwan’s environmental laws and have the illegal building demolished. They also called on fellow academics to refuse joining a new EIA panel on the project. All of this was in build up to the EIA that was scheduled for November 29th, and the movement’s efforts seemed to be putting pressure in the right place when Minister of Interior, Lee Hong-Yuan commented that the Taitung government should acknowledge its mistakes in the build- operate- transfer construction process. The Taitung government’s response to the Ministry’s criticism was simply stating that withdrawing from the BOT project with the Miramar Group “would harm public interests”. Demonstrations were organized for the day of November 29th, but a few days before the event the EIA was suddenly cancelled “due to lack of quorum”. It was later announced that the meeting would be held on December 22nd. Protesters regrouped and came together again to rally outside the venue where about 200 opponents and supporters were met with an estimated 300 police officers. No press was allowed, as the Taitung County barred reporters from the meeting. In the end, seven out of the eight panel members approved the assessment, with one approving it “conditionally”. The Taitung government has termed the outcome a “conditional approval”, stating that pollution prevention measures will be carried out on the project. However, the pledge to implement such prevention measures after the construction has been nearly completed, doesn’t hold much weight. First of all, the conditions which the one member has requested are “boilerplate”, which means they are added to every assessment decision and the Environmental Impact Administration is sorely understaffed to follow up on these conditions - conditions that are standard in every single EIA. Furthermore, since 7 members approved it without conditions, technically, those conditions don't have to be in the EIA decision that will be published and take effect as an administrative disposition. With these facts in mind, the prospects for preserving the natural beauty and indigenous culture on Shanyuan beach and along the rest of Taiwan’s east coast may seem bleak, but the group of local artists and community members who have been ceaseless in their efforts to stop the Miramar Resort from opening are far from giving up. They will continue to plod along with the legal side of the battle and in the mean time plan to remain as active as ever in educating the public of the struggle to save Taiwan’s precious east coast from further illicit and unsustainable development. 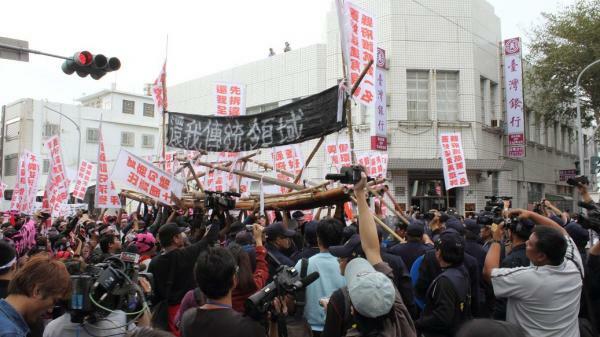 The video below was compiled by the Taitung/Dulan based group Against Against Against.